Do you like wine and would like to try a new way of wine tasting? How about tasting in the complete dark? ENCHANTING EXPERIENCE. Most popular wine tasting. COLOURS. MUSIC. EMOTIONS. Small family winery. Small Carpathian Terroir. Home made delicacies. Fun-filled stories. Authentic experience. Do you find formal wine tasting a bit boring? 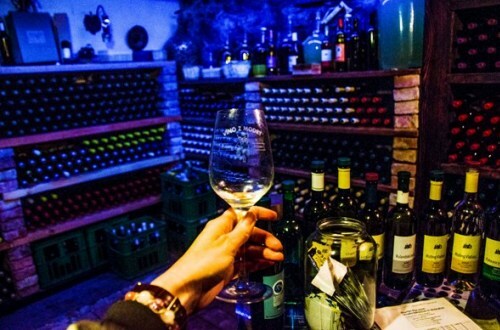 Would you like to try local wines in more laid-back way, take a stroll through the historic city centre and learn fun facts and curiosities about this unique winery town?